Hope United is a 501(c)(3) nonprofit organization bringing education, support and recovery to communities suffering from the drug, alcohol and suicide epidemics. Our team understands the impact of the addiction epidemic and won't rest until it ends. Thank you and Stand United! A Stark County resident on his 7th term as President of Teamsters Local No. 24 in Akron, Ohio. Known for his honesty and integrity, Travis has been highly respected by both sides of the table for the past 20 years. As one of the founders of Hope United, created in honor of his only son, Tyler, Travis is committed to helping to bring a solution during the worst drug epidemic in U.S. history. He is a sought after speaker on addiction and recovery who has been featured in Forbes and Bloomberg. His testimony at the Ohio Statehouse was instrumental in establishing Ohio's first Good Samaritan 911 Law. He has also had meetings with members of Congress, both in the House and the Senate, advocating for reforms in healthcare laws for treating those with the disease of addiction and is leading the charge to hold big Pharma accountable for its part in the opioid crisis. Travis is a member of the national advisory committee STOP (Surgical Taskforce Organized to Prevent) Opioid Abuse, dedicated to reducing unnecessary exposure to opioids in the surgical setting. Travis is a veteran of the U.S. Marine Corps, is married to Shelly Bornstein and has two daughters, Tana and Taylor. A Stark County resident, Karen is currently working in global marketing communications at The Timken Company, and has more than 25 years experience in public relations and marketing communications. She has served on various area non-profit boards and now focuses most of her free time helping Hope United with media relations and fund raising. A graduate of The University of Akron with a bachelor’s degree in business and organizational communication, Karen is also a graduate of Leadership Akron Class XVIII and served as Junior Leadership Akron co-chair. A Summit County resident, Colin is an Attorney at Law for Blakemore, Meeker & Bowler Co., L.P.A. Colin attended John Carroll University, in University Heights, Ohio, graduating with Bachelor of Sociology. He continued his education at The University of Akron, graduating with a Master’s in Public Administration and a Jurist Doctorate from the School of Law. Having experience in both law enforcement and criminal defense, Colin understands the great need for Hope United and its mission. A Cuyahoga County resident, Gary is a graduate of Baldwin Wallace College with a degree in Business Administration. Gary is licensed as a Certified Public Accountant by the Accountancy Board of Ohio and is licensed by the Nevada State Board of Accountancy. Gary is a member of The Ohio Society of Certified Public Accountants and the American Institute of Certified Public Accountants. Gary has 25 years of experience auditing nonprofit organization and employee benefit plans. A Summit County resident, Laura earned her BS in Education from The University of Akron. She formerly worked as a Senior Sales Representative at Verizon Wireless for seven years and is an event planner/business owner of Tiaras and Treasures, Inc. for the past 13 years. 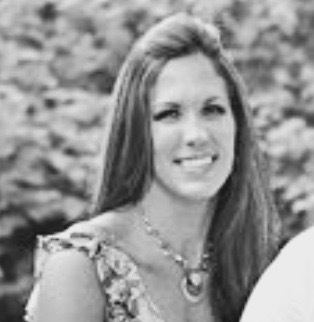 Laura works as the Director of Education and Outreach for Hope United. She has attended countless conferences, seminars and trainings to continue her education in addiction, mental health and suicide, including Mental Health First Aid and the Botvin Life Skills for Middle School and High School. Laura is a member of the SCOTF Young People in Recovery Committee, and she is currently working toward her certification to be an Ohio Certified Prevention Specialist. A Stark County resident, Shelly earned her Associate Degree in Science from The University of Akron, and Certificate as a Radiology Technician. She also became certified as a Nuclear Medicine Technologist and has 28 years experience working in the healthcare field as a Nuclear Medicine Technologist at Aultman Hospital. She recently obtained a Certificate as a Chemical Dependency Counseling Assistant. Shelly is the co-leader of The Well Grief Support Group for Hope United. She has attended CRAFT (Community Reinforcement and Family Training) Training, Botvin Life Skills, Mental Health First Aid, as well as attended many other trainings, conferences and seminars on addiction, mental health and the opioid epidemic. Shelly is a graduate of Gorski-Cenaps Relapse Prevention Training, and has completed both the CCAR (Connecticut Community for Addiction Recovery) and OMHAS Certified Peer Recovery Supporter Training, and is currently working to become Ohio certified. She is a member of the Summit County Addiction Leadership Council with United Way, and a member of the SCOTF Family Support Group Committee. Shelly is currently volunteering her time at Rahab Ministries in Summit County and the Deliverance House in Stark County.